An 80-year-old herbalist, Ussaini Musa and two others have been arrested by men of the Katsina State Police Command for allegedly plucking out the eyes of a police sergeant in Jos, Plateau State, as part of items to make an invisible jacket (charm). The state Commissioner of Police, Muhammadu Wakili, during a press conference on Wednesday identified the other suspects as Abubakar Sani, 35 and Abubakar Muhammed, 28. Sani resided in Katsina, Muhammed and Musa resided in Jos. 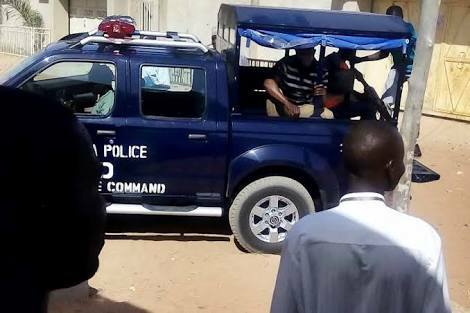 The police commissioner said the victim, Sergeant Umana Ishaya, a mobile policeman on special duty at Operation Safe Haven, Jos, was in mufti when the incident happened. Wakili said the suspects plucked out the eyes of the sergeant before killing him. The suspects allegedly told the herbalist that they wanted the invincible jacket to enter a house where huge sums of money were kept. The herbalist reportedly told them to get the eyes of a human being who was alive as part of items to make the jacket. The victim’s eyes were among exhibits recovered from the suspects.